I'm in Toronto for a couple days for work. I love Toronto but there won't be anytime to hit my favorite spots. 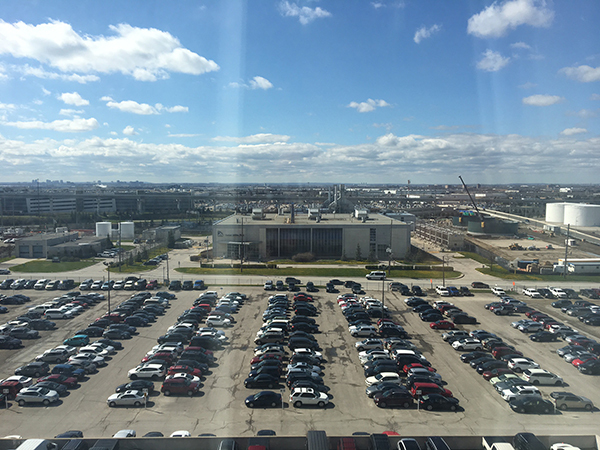 Even the hotel is by the airport with this lovely view. 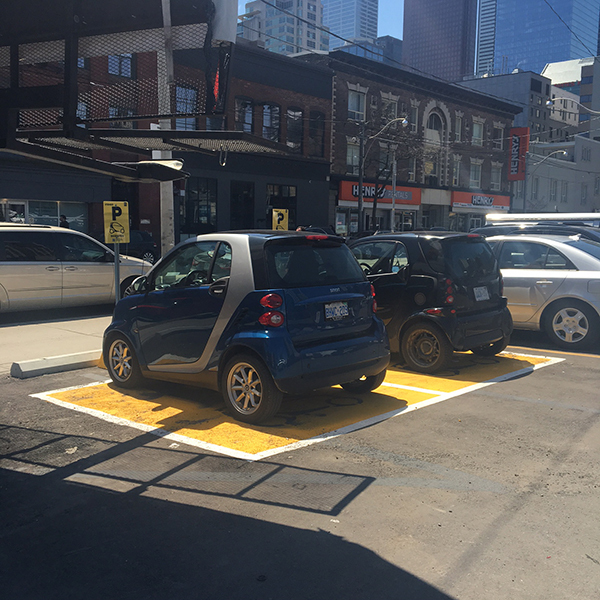 They show respect to Smart Cars in Toronto. Look at these reserved parking spots! I do get to eat some nice meals while I'm here. 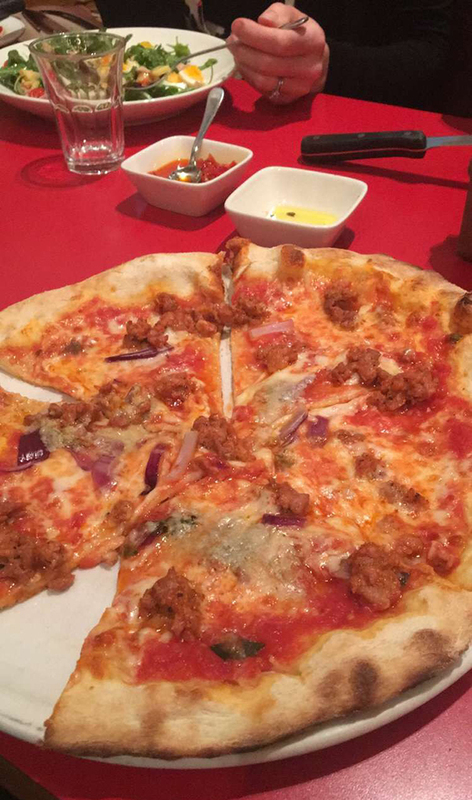 I especially liked this Italian restaurant called Terroni. 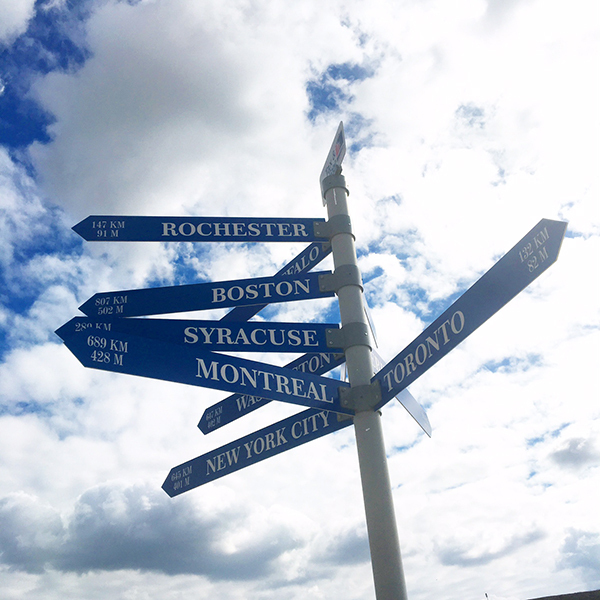 It's so nice to have a major city so close to Rochester. • Roncesvalles Village (http://www.blogto.com/roncesvalles), lots of resturants and shops and at the bottom of the village is Queen/Roncesvalles where you walk over a bridge to Lake Ontario and eat dinner at Sunnyside Pavilion (http://www.sunnysidepavilion.com/) while watching the sun set over the water. • After Sunnyside, walk back over the bridge and catch a streetcar to West Queen West (http://www.seetorontonow.com/explore-neighbourhoods/west-queen-west/) where there's plenty of nightlife and perhaps book your stay the Gladstone Hotel (http://www.gladstonehotel.com/). 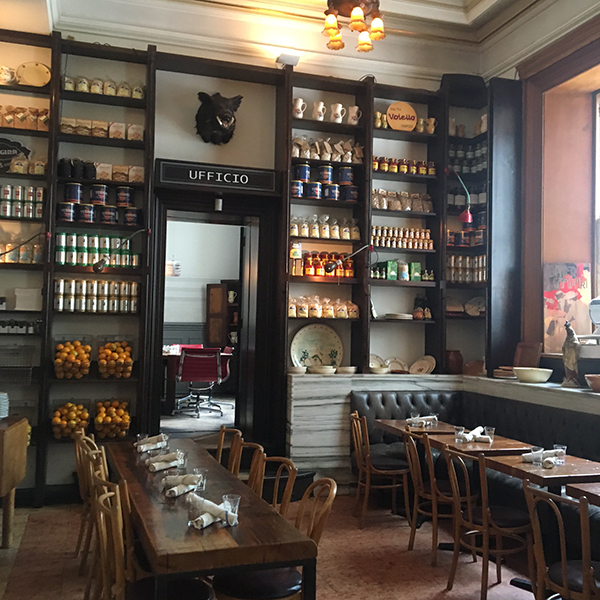 All these places are walkable and best to get to via streetcar or subway. I'll look forward to seeing blog posts of your future visits here. Thank you for your tips! I am hoping to do a weekend trip soon. I didn't know there was a Koreatown. SUPER excited about that!